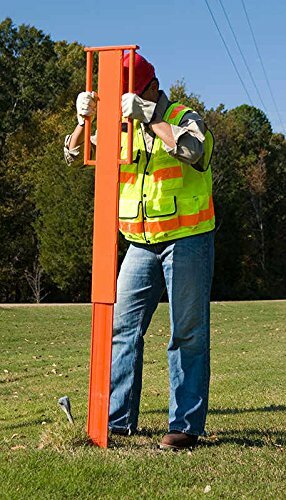 Use for installing your fiberglass boundary and utility markers (sold separately). Just insert the marker into the driver with the pointed end exposed. Then, rotate the driver into installation position and drive the marker into the soil with a series of light taps until you reach the desired depth. If you have any questions about this product by Quantam Marketing Group, contact us by completing and submitting the form below. If you are looking for a specif part number, please include it with your message.